If we really want to know what the impact of clinical care including treatment is on the patient then the most reliable way of finding out is to ask the patient. 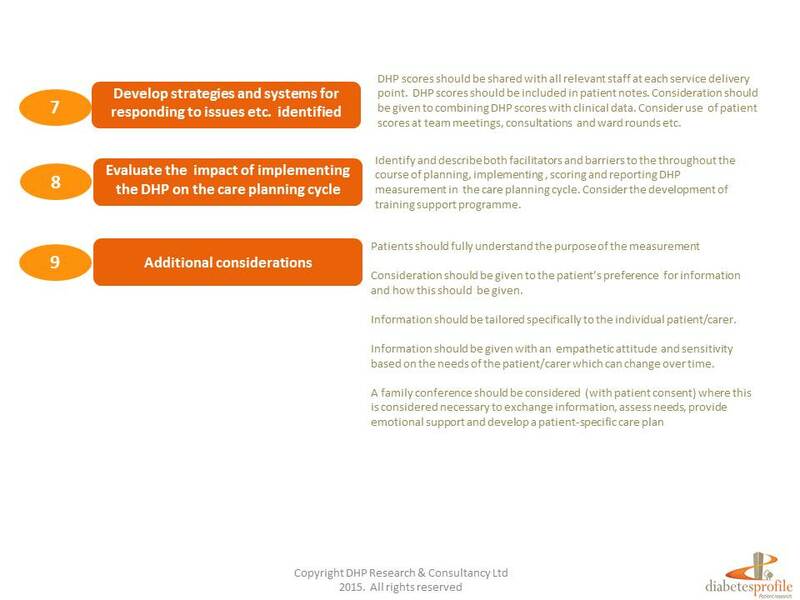 Patient reported outcome measures (PROMs)are increasingly being used to gather this information. Whether the implementation of the PROM is for research, clinical care or community and population surveys, there are a number of Implementing routine PRO assessment involves a methodological and practical decisions to be made. Because of the range of settings and applications in which the DHP can be used, there is no one correct way in which the DHP should be implemented. 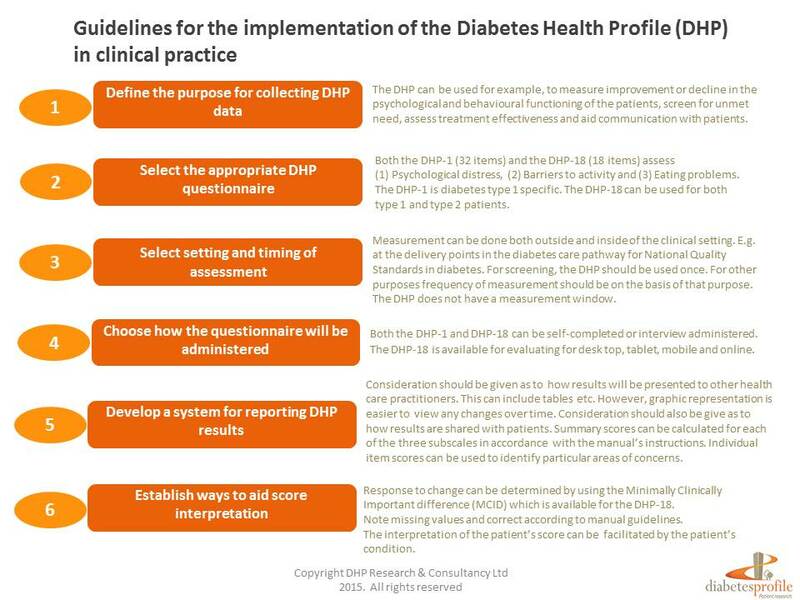 However, for clinical trials, community and population surveys and research, implementation of the DHP must be in accordance with the study protocol. How will the PROM fit into the clinical workflow? Will it include both type 1 and type 2 patients? How often should the PROM be administered? Who will receive the reports? 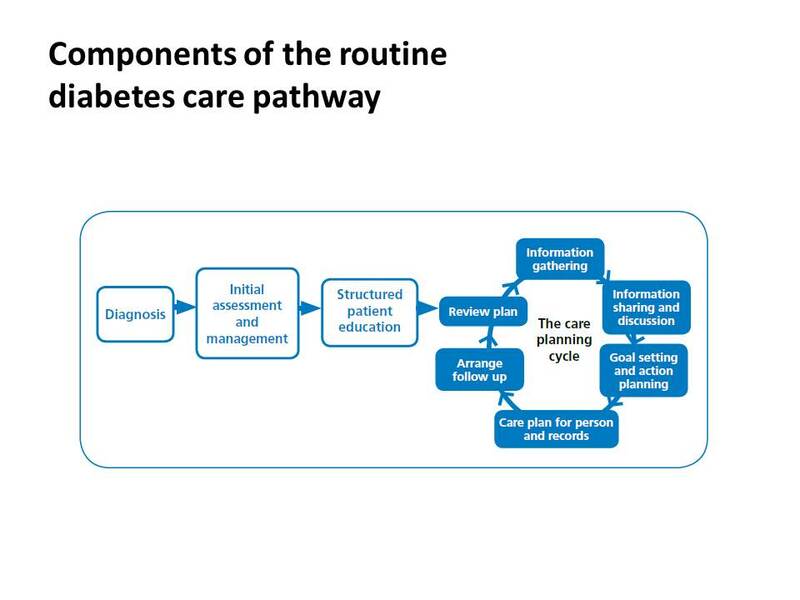 It is strongly recommended that the implementation strategy should take into account In the development of the strategy the delivery points in the diabetes care pathway for National Quality Standards in diabetes and the guidelines for the implementation of the DHP.